The splendid beauty of Nature can be seen in a variety of forms such as pristine beaches, golden deserts and snow capped mountains and one of the most amazing of these forms is glorious waterfalls. 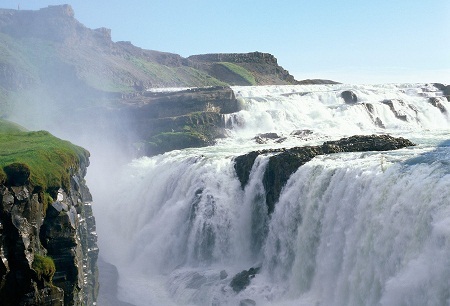 There are a number of waterfalls around the globe which attract nature lovers to witness the glory and undisputed power of nature, both at the same time. 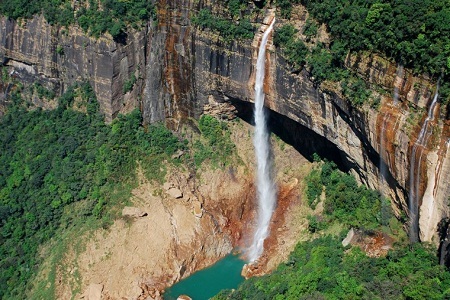 One of the most amazing waterfalls in the world is Nohkalikai Falls in India, which falls from an altitude of 1100 feet. Though the steam which feeds the falls is hardly 2 km long, they are still a source of fascination as the water turns green when it falls into the pool below. Gullfoss, a waterfall on River Hvita in Iceland is a great attraction the country offers, on account of its unique shape, that is, it forms two tiers which are at right angle to each other. People visit the waterfalls to witness the most amazing sight of a rainbow arched over it in the favorable weather. 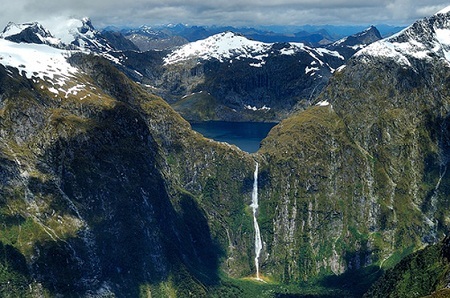 Next on the list is Sutherland Falls in Fiordland, New Zealand, which falls from a height of 1902 feet, making it one of the tallest in the world. The falls, which are divided into three cascades, are named after Donald Sutherland, who discovered it in 1880. 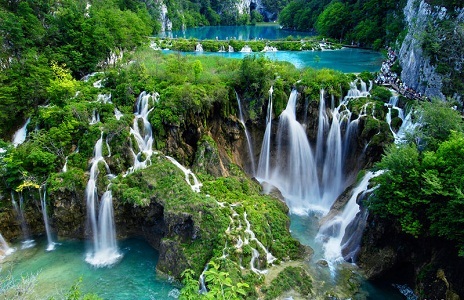 The next name on the list of top 10 most wonderful waterfalls in the world is that of Plitvice Falls in Croatia, which consists of a collection of hundreds of waterfalls segregated by colorful lakes, making it a breathtaking visual experience. The falls are not considerable high, but the colors varying from crystal clear to turquoise and azure make it a heavenly sight. 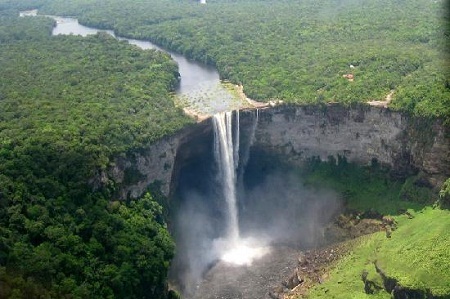 Kaieteur Falls in Guyana are located at a height of 741 feet, right in the midst of wilderness of rain forests, making it an ideal place for adventure lovers around the globe. 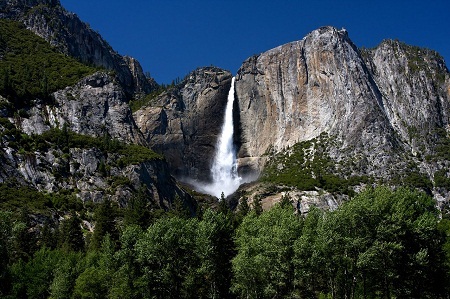 It is regarded as one of the tallest single drop waterfall on the earth. Falling from a magnificent height of 2425 feet, Yosemite Falls in Sierra Nevada, California is the highest waterfall in this part of the world. It is fed by melting snow and remains active for a considerable part of the year, though it may cease for some time due to insufficient snow in the region. Next among the most amazing waterfalls in the world is the majestic Angel Falls, situated in the equatorial rainforest of Venezuela, which is probably the tallest in the world with a height of 3212 feet. 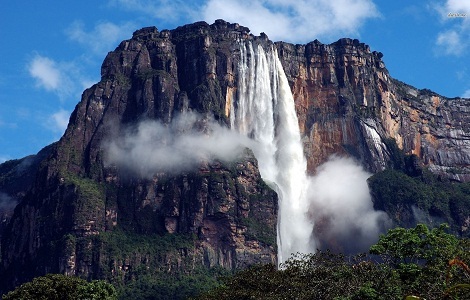 Angel Falls are located in the UNESCO protected Canaima National Park. Niagara Falls, which are situated on US-Canadian border, are one of the most famous tourist attractions in the world. 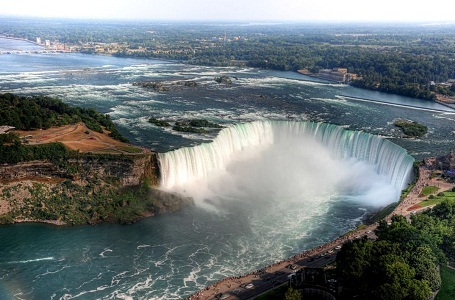 It is divided by an island into Horseshoe Falls in Canada and American Falls in America, though the former is more impressive. 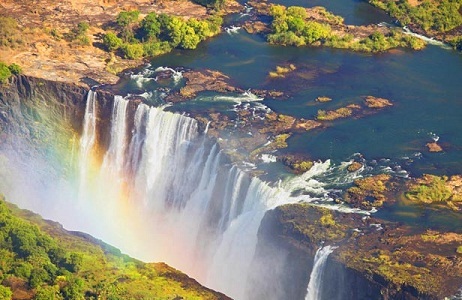 Featuring next on the list of top 10 amazing waterfalls in the world is the gorgeous waterfall in Zambia, Victoria Falls, also known as Mosi-oa-Tunya. The falls lie on River Zambezi, at a height of 354 feet and are 5604 feet wide, carrying as much as a million liters of water per second. 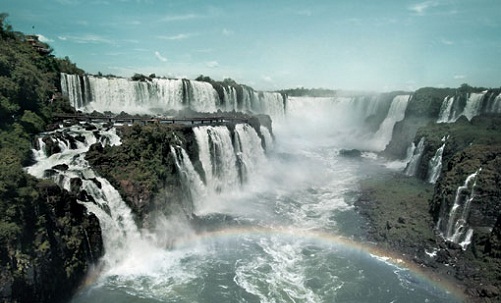 The falls are considered as one of the seven natural wonders of the world. One of the most impressive waterfalls in the world is the Iguazu Falls in Argentina, which lies on the border of Argentina and Brazil. 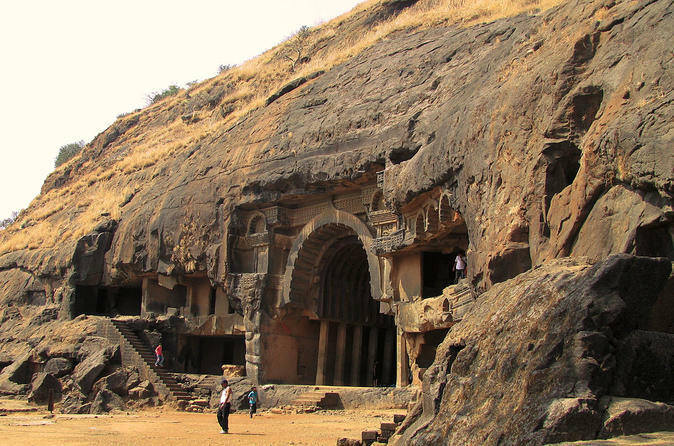 Though the waterfall is just 285 feet high, the most amazing thing about it is that it is divided into 275 cascades which form the shape of a horseshoe. All these waterfalls are considered as some of the most glorious creations on the earth. This is the reason why they attract millions of visitors every year.